This article by @michaelcj is part of a blockchain collaboration series. Learn more about the Sndbox #cryptocollab initiative, here. 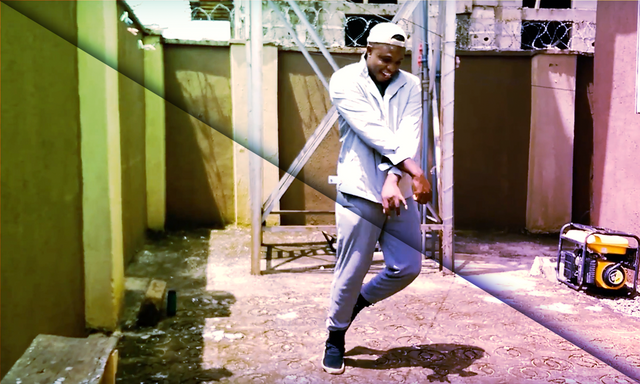 Have you every seen Nigeria's top trending dance style? Well, it's called Shaku Shaku and this post is all about exploring a mix of music, dance and performance. Different countries and cultures have their own signature dance styles. Some are more traditional while some dances are a mix of movements and the latest cultural trends. Nigerian musicians and dancers are have been able to produce different kind of Dance movement during the past few years. Movement like; Galala, Suo, Makosa, Azonto, Yahoozee, Alingo, Etighi, Skelewu, Skoki and a few more. For this post, I won't be talking about traditional Nigerian dance. Instead, I will focus on a huge trend in today's entertainment world. The latest dance trend we have today is Shaku Shaku. Virtually almost everyone can dance it to any sound. Its mostly seen in musical videos. The Shaku Shaku dance movement started from the streets of Agege. The first music video to feature Shaku Shaku on MTvbase was Shepetere and Legbegbe and others from Agege boys like Idowest, Mr. Real, DJ Real, Slimcase, Zlatan Ibile, Cashwale, Reminisce and Obadice. Leg movement is almost as if you're riding with skate shoes but you have to be in the same spot. Remember your legs should synchronize with your nod and hands. I am so grateful for this opportunity to collaborate with @djlethalskillz. To start, he sent me some instrumentals which you can listen to - here. After listening in on it, I made a little voice recording so it can blend with the sensational movement with came out awesome. @djlethalskillz is a DJ, turntablist, and music producer. He is a part of numerous groups such as the Empty Handed Warriors, the Arab League, the Ramallah UnderGround, and the Arab Summit. He was the first to push turntablism as an art form in the Middle East and has continued to be one of Arab hip-hop’s most notable cultural ambassadors. I hope you enjoyed reading, watching and learning! Hope to see you some other time. Stay strong! This post was authored by @michaelcj, a member of the sndbox incubator. Learn more, follow @michaelcj or begin a conversation in the comment section below. that was one awesome collaboration with the sndbro @michaelcj and I learned new cultural information about the shakushaku super awesome. Thank u @sndbox for creating such awesome opportunities for us artist to experiment, collaborate and synergize worldwide! The beat was awesome. I am happy we made the production together. Thanks for your contribution. You have collected your daily Power Up! This post received an upvote worth of 0.46$. I really want to have this again @sndbox. It was a wonderful experience. Its an honour to be part of Cohort 2 program. Hi, my name is @amayahaley21 and this post has receive a 15.00% upvote. If you would like for me to visit your posts you can delegate 100+ steempower to me and I will visit your posts until you remove your delegation. You can also donate 2+ steem to me and I will visit your posts for 30-days. All Steem earned will be used to help me grow! Your UA account score is currently 6.565 which ranks you at #142 across all Steem accounts. Your rank has dropped 3 places in the last three days (old rank 139). In our last Algorithmic Curation Round, consisting of 306 contributions, your post is ranked at #17. These videos were fun to watch. What great energy !